If we are connected on Instagram than you probably saw my post last night about how overwhelmed and speechless I am. 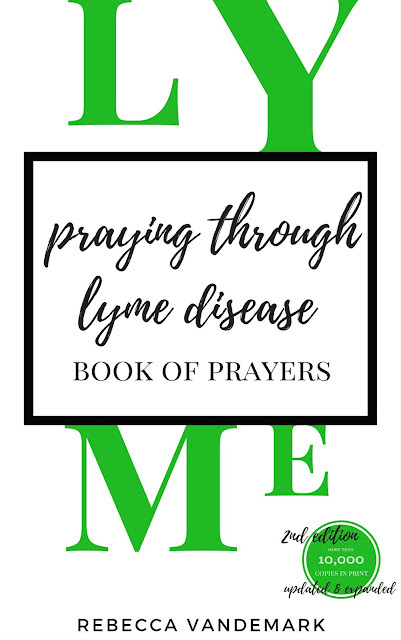 Since the 2nd edition of Praying through Lyme Disease released last Thursday there have been almost ONE THOUSAND copies purchased. I have no words, just extreme gratitude. I pray that this book continues to encourage each person who reads it. Thank you so much for the beautiful support of this book which holds a very special place in my heart. If you have read it - would you consider leaving a review for others to know more about this book? It doesn't have to be long, but any reviews that help potential readers learn more about this book would be such a blessing! Thank you! If you are looking to purchase Praying through Lyme Disease you can buy it where books are sold and find it on Amazon HERE. And don't forget you can find the Large Print Version HERE! Thank you again friends! I hope that you have a lovely Friday and a wonderful weekend!